Pt. 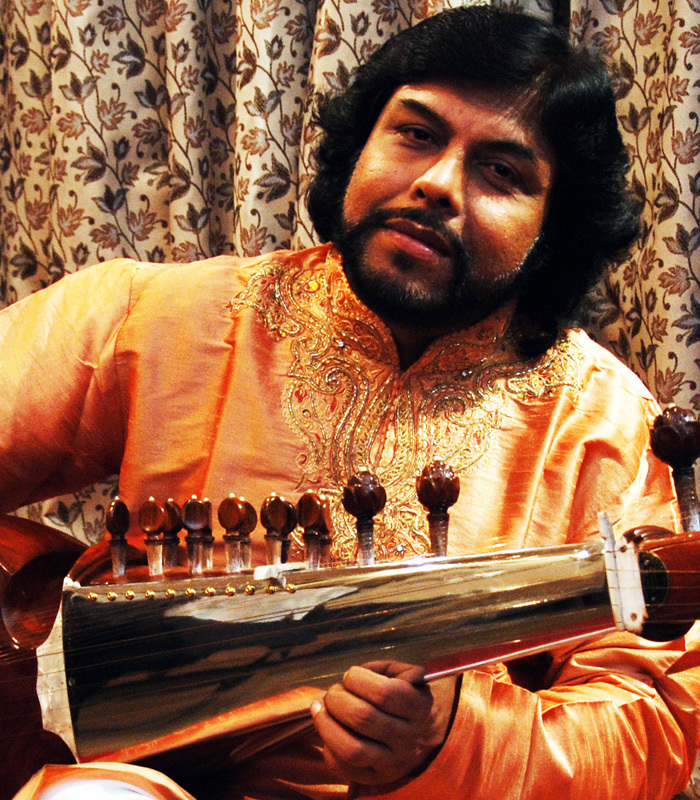 JOYDEEP GHOSH is hailed as one of India’s leading Sarod , Surshringar & Mohanveena artists , today . He started learning Sarod from the tender age of five under the able guidance of the great masters late Sangeetacharya Anil Roychoudhury , late Sangeetacharya Radhika Mohan Moitra and Padmabhusan Acharya Buddhadev Dasgupta all belong to the famous Shahajahanpur Sarod Gharana . He has learned the technique of Laykari and its application from the noted exponents of Tabla late Pt. Amal Sarkar, late Ustad Shaukat Ali Khan and late Pt. Anil Palit . He has also received his lesson in Vocal Music from the eminent vocalist late Sangeetacharya Amaresh Chandra Choudhury belongs to the famous Senia Gharana . Subsequently, he was under the tutelage of the versatile master late Pt. Bimalendu Mukherjee , a doyen of the famous Imdadkhani Gharana of Sitar & Surbahar . Pt. Ghosh has included all the important aspects like Gayaki , Tantrakari, Raag-vistar and Laykari in his own style . The brilliant guidance under the famous maestros has led him towards a new horizon in Sarod , Surshringar & Mohanveena playing . The artist had received many awards & honors since his childhood including the Scholarship & Fellowship both from Govt . of India . All along he had secured 1st position in All India Music Competition(Delhi) , 'Sangit Kriya Visarad' Diploma (Kolkata) & 'Sangit Praveen' Diploma (Allahabad) . He had been awarded the title 'Surmani' by Sur Singar Samsad (Mumbai), 'Swarshree' from Swarankur (Mumbai) and ‘Top Grade’ by All India Radio . The artist had been invited to perform in several esteemed music festivals throughout the country and has also enchanted music audience of different countries including USA , UK , Germany , France , Holland , Norway, Sweden , Denmark , Bahrain , Bhutan etc . Pt. Ghosh was attached as an Associate Professor with Indira Kala Sangit University, Khairagarh (Chhattisgarh) between 1985 - 2013 .